The Second Chance Foundation hasn't added a story. The Second Chance Foundation is raising money for poor coastal families in India, South of Chennai, who lost their homes to the devastating floods of November-December 2015. Unlike the majority of efforts directed toward relief in urban areas, these funds will help those who remain especially vulnerable to environmental crises— including women and the families of poor and landless agricultural laborers. All funds will be directed to a small non-profit organization in India—GUIDE—that is currently working to rethatch the homes of 150 families from the marginalized Irula tribal community. The Second Chance Foundation hasn't posted any updates yet. The Second Chance Foundation is managing the funds for this campaign. 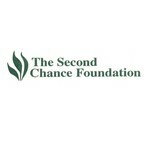 The Second Chance Foundation is a verified organization.